shopDisney has a massive selection of Disney, Pixar, Star Wars, Marvel, and Disney Parks merchandise and new items are added every day. We’ve collected a few of the hottest items that just arrived at the shopDisney store and these holiday decorations are sure to add Disney cheer to your home throughout the season. 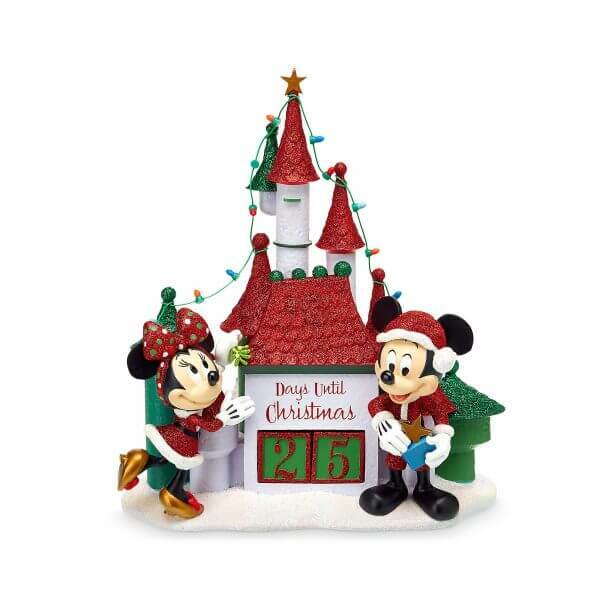 Mickey and Minnie build excitement for Christmas on this adorable advent calendar ornament. Numbered blocks can be arranged daily so the whole family knows exactly how many days are left before the big celebration. The sculpted castle features frosted glitter accents to add a bit more festive fun to your decorations. The ornament can also be used as a mantlepiece or holiday centerpiece. Grab one now for $39.99. Cogsworth looks ready for Christmas cheer on this lovely Beauty and the Beast-inspired ornament. 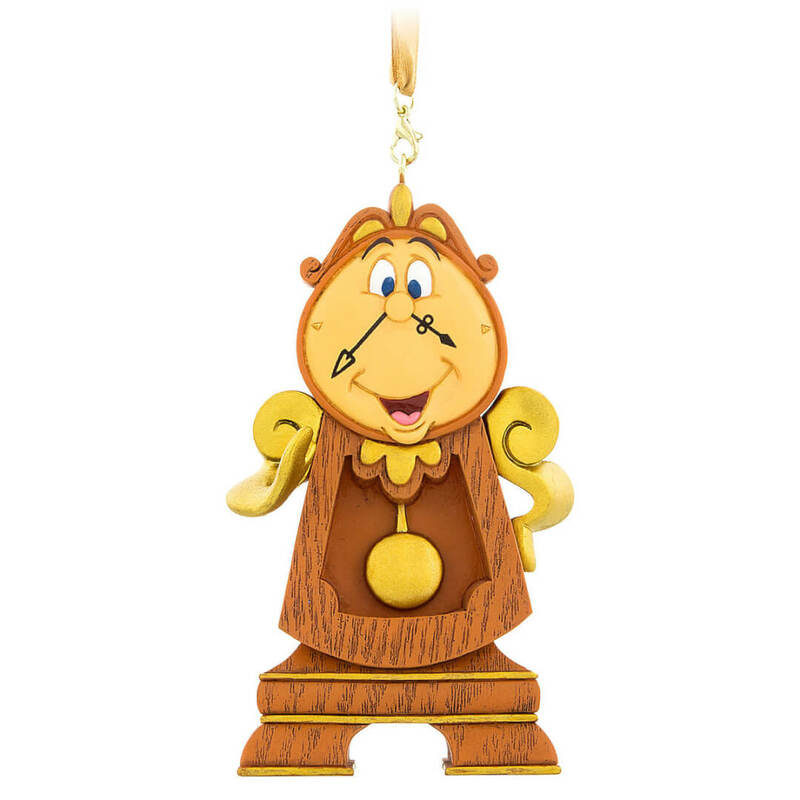 Part of the Disney Parks Ornament Collection, Cogsworth is fully sculpted with a satin ribbon for hanging. You can pair it with the Mickey and Minnie Holiday Countdown ornament (pictured above) to add another timely reminder of the upcoming holiday. Purchase the Cogsworth ornament for $21.99. For more Beauty and the Beast-themed decoration, Mrs. Potts and Chip add the perfect dash of holiday warmth. 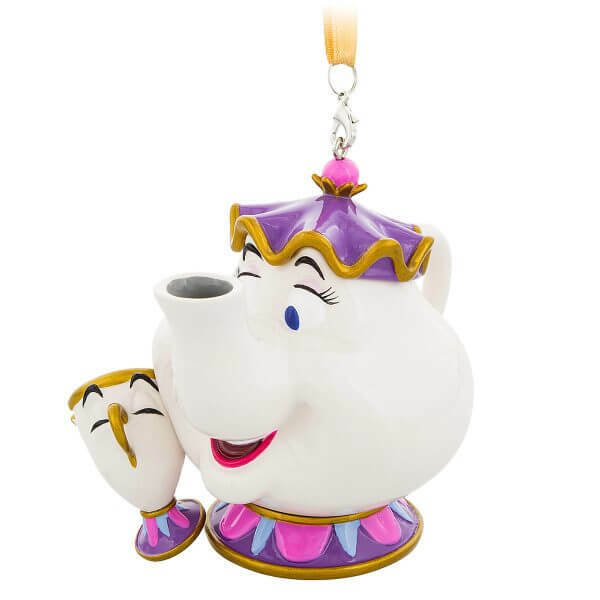 The duo is also part of the Disney Parks Ornament collection and they’re fully sculpted with a satin ribbon for hanging, just like Cogsworth. As Mrs. Potts and Chip happily demonstrate, Christmas is all about being with the ones you love. Pick up the ornament now for $21.99. 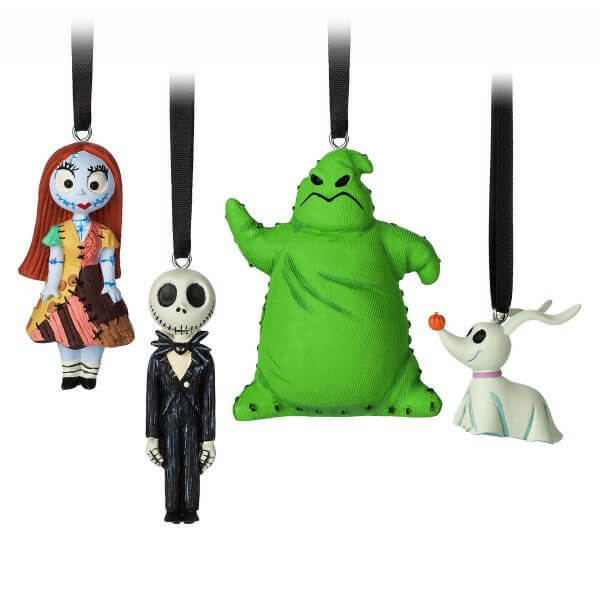 Make your holidays haunted with this adorable Sketchbook Mini Ornament Set for “Tim Burton’s The Nightmare Before Christmas.” The set includes Jack, Sally, Oogie Boogie, and Zero, fully sculpted with satin ribbons for hanging. The highly detailed ornaments are the perfect spooky touch for your Christmas tree. Buy the set now for $19.95. This beautiful ceramic tree brings holiday happiness to your table. Bas-relief decorations include Bambi, Thumper, Friend Owl, Chip ‘n Dale, Olaf, Sven, and more. The tree includes light-up bulbs with flashing effects to bring seasonal magic to your home. 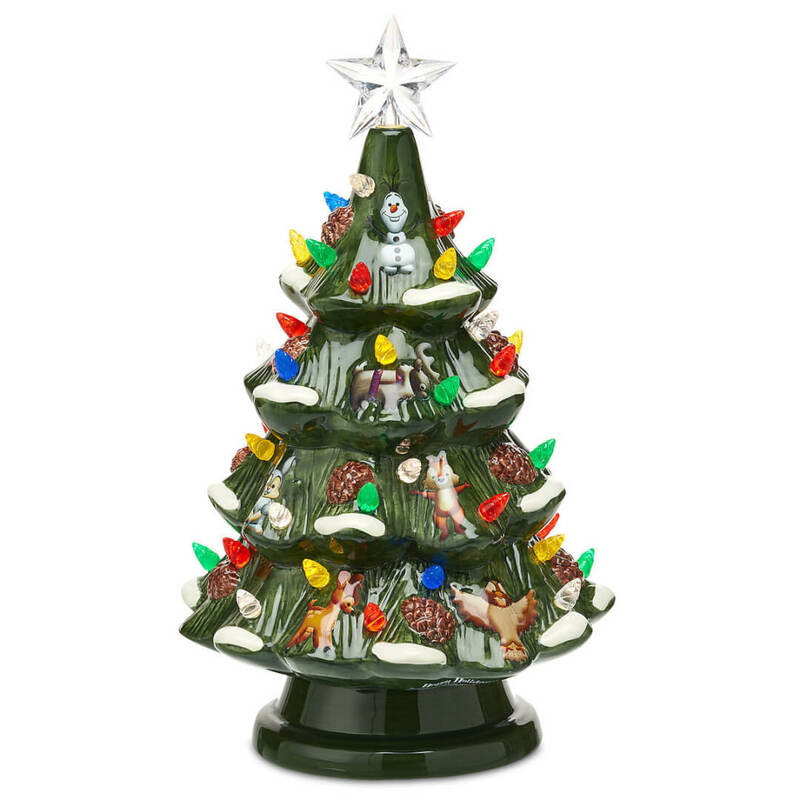 For retro Disney Christmas style, pick up this tree for $60.00.